Improves your Return on Investment! 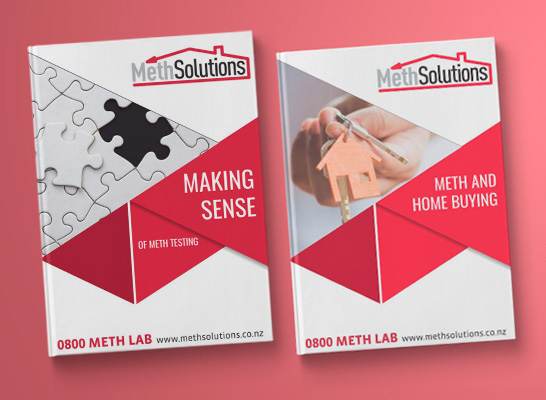 From a little over $10 per week, you can proactively manage meth risk and get peace of mind on this key issue for property investors. Most investors know of somebody who has been caught out. Everybody has read stories in the media. The financial and emotional damage that this causes can be massive. By monitoring for manufacture (the most catastrophic risk) using MethMinder and Screen testing for use (the most frequent source of meth contamination), you can deter it from ever happening to you. The test, provides irrefutable evidence at a particular point in time of the meth residues that are in a property. This evidence has been used to successfully prosecute tenants on many occasions. The law requires that we observe a tenant’s right to ‘quiet enjoyment’ of the property and restricts what background checking can be done. People involved with methamphetamine lie, steal, thieve, cheat and deceive as a way of life. Their focus is on their meth habit. How much do they honestly care about the money their habit will cost you? How are you going to meet the cost of fixing up your property? Is it habitable, what if the insurance fails to pay out? By advising prospective tenants of how the property is being managed, you reduce the risk of having to deal with the problem by deterring less desirable tenants. You also get to attract better quality tenants AND have the opportunity to take out better quality insurance cover! Are they more likely to be attracted to a property that can prove it does not have a meth issue? Are they more likely to look after the place? What effect might this have on your repair and maintenance costs? Are they more likely to pay a higher rent? Are they more likely to stay for longer? If the answer is yes, how will that affect your return on investment? How much extra money might that generate each year? After initial set up costs, MethManagement can cost just over $10 per week. If your estimate of the savings you will make as a consequence of deciding to MethManage, exceed $10 per week, then you are making money AND reducing risk by adopting this approach. When the risks associated with meth affected property run into many thousands of dollars, how can you afford not to get proactive?